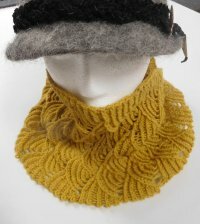 This yarn is spun from recycled wool gathered from tailors shops. So the cut-offs from the garment industry of 100% merino wool are taken and wetted and chopped up and then carded and respun together with 30% poly to give it more strength. 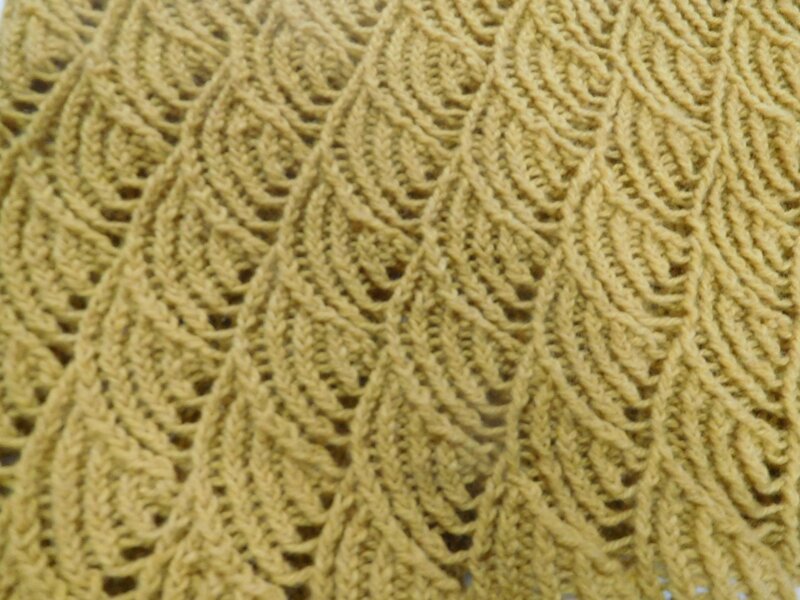 The resulting yarn is very soft, has great bounce and is a great value. 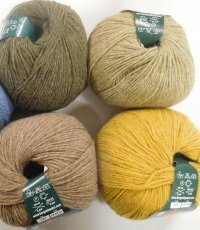 At only $6.50 for 162 yards, this yarn is recommended knit at 6-7 sts/inch on US 4-6 needle and is a great bargain. Lots of great colors to work with so it is a great option for color work. Each color has lots of other colors in it (sort of tweedy) so be sure to click on the photos for a better sense of the colors below. I can see from the photos that I didn't do a great job of grouping the colors for a nice picture! So be sure to click on each photo so you can see an enlarged view of each one to really appreciate the individual colors of each skein. The cowl shown below wraps around the neck twice and is very lovely. 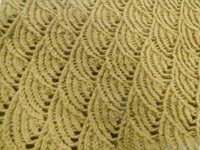 We chose this pattern to show off how nicely this yarn shows stitch definition!